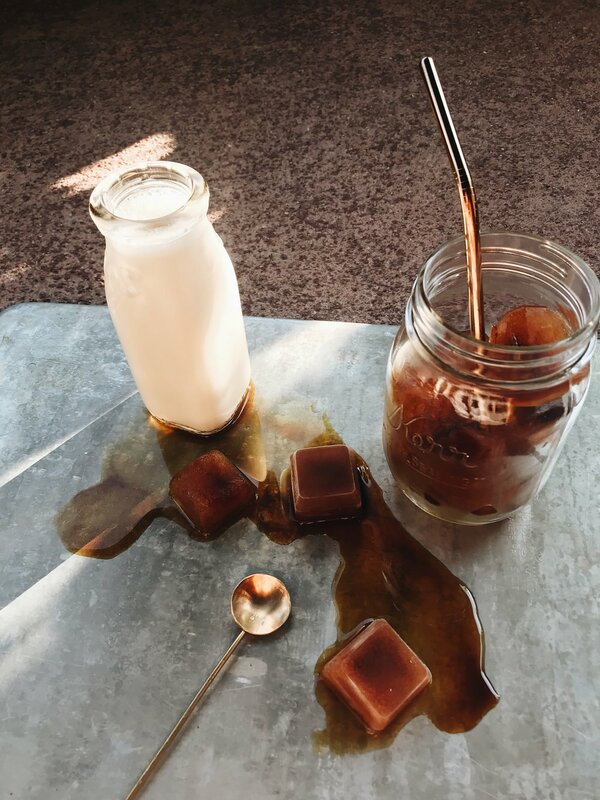 Fake Coffee Ice Cubes | Big Heart Tea Co. Fact: this summer has been really hot. Like, so hot. It's bananas, y'all. So it was only a matter of time before we schemed up ways to keep our our cold brews colder, especially as we're headed out the door in the morning. 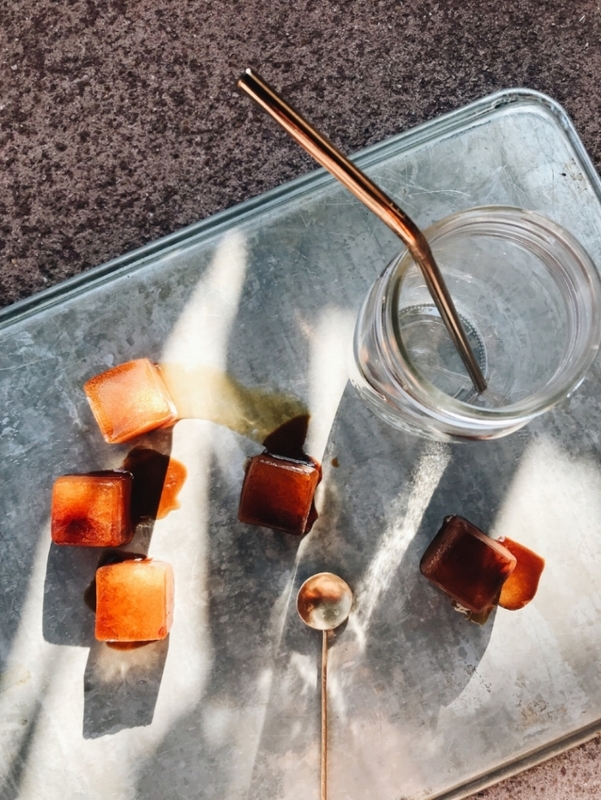 Meet Fake Coffee Ice Cubes. These ice cubes are so simple, but also kinda genius. We like to pair them with our Fake Coffee Cold Brew, to keep things chilly as we sip without getting watered down. Because let's be honest, watered down iced coffee (er, Fake Coffee) is not ideal. So, ice cubes made with Fake Coffee? Yeah buddy. The really great thing about these beebs is their versatility. 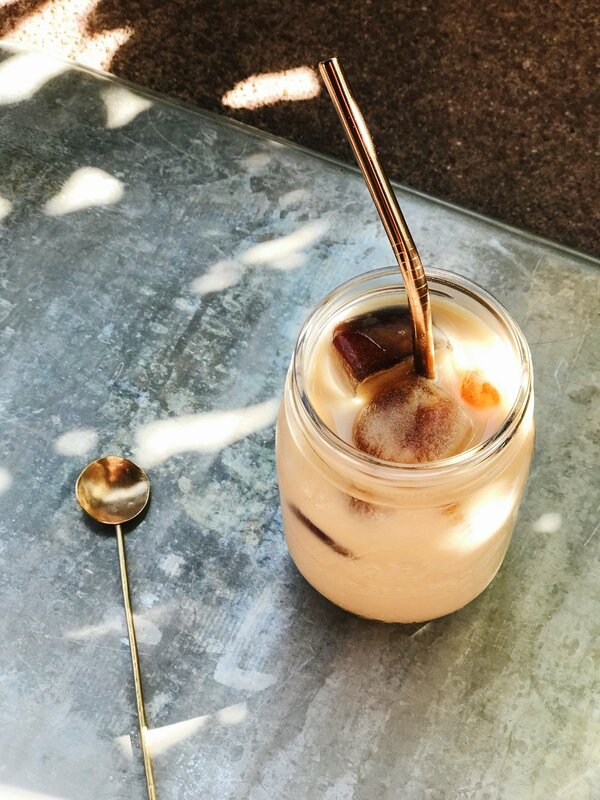 Pour your choice of milk over them and let them get all melty for a Fake Coffee iced latte, or toss a few into a blender with milk and maple syrup to make a frozen Fake Coffee milkshake. Whatever, really. You do you. Pour Fake Coffee mixture into ice cube trays and freeze 6 hours, or overnight. Need some Fake Coffee in your life? Shop it here!